Fast and efficient road freight is the way forward. 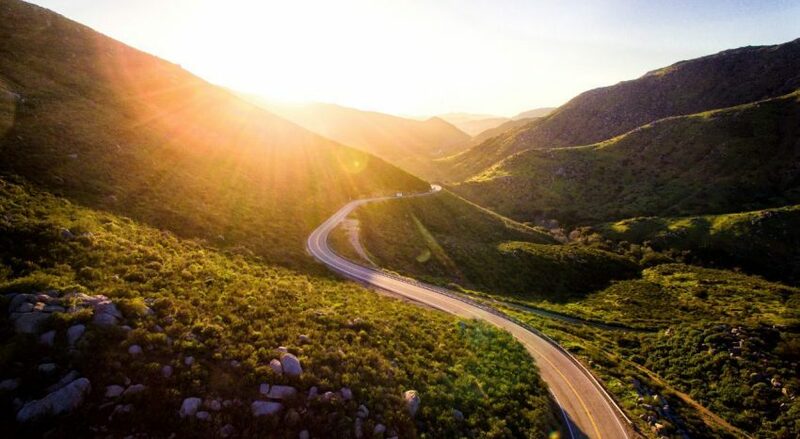 Road freight is the only mode of transport that can reach into the most rural areas, not served by any other transportation, and has the ability to deliver your goods right at the doorstep. It is a highly flexible mode of transport, perfect for shorter distances. With a full range of road freight services across Europe, Asia and the Middle East, extensive knowledge of the market and an entirely independent position, we can create the perfect road freight solution for you. Do you have larger volumes of goods to ship over shorter distances, and preferably, as fast as possible? We offer an FTL service with high flexibility and destinations all over Europe. When it comes to road freight, we know punctuality and security are stringent demands and important factors in order to provide truly reliable services. Many of our trucks are equipped with satellite navigation and tracking systems, allowing us to check their positions online. This means that you know exactly where the cargo is at all times. Based on international standards, we offer a fully secured cargo during the entire transportation. Are you a small or mid-size business that doesn’t have the volume to fill a full truck but cannot afford to miss delivery deadlines? Then our LTL and groupage service might be an option for you. With our LTL service, we ship your goods at lower shipping rates. We combine your individual consignment and ship it together with other consignments in the same truck. We separate your consolidated shipment back into the original individual consignment and deliver it to you. Via our E-carrier Portal, you can calculate the breakpoint of when to use LTL and at what point a full truck load becomes more economical. Does your shipment fall between FTL and LTL? Our PTL service is based on how large your shipment is, how much it weighs, if it is time-sensitive and what type of cargo you want to ship. If there is extra room available in one of our trucks and we can fit your cargo into the truck, you can use our PTL service. This alternative provides fast transit times and less handling of your goods as there is usually no need to stop at distribution terminals along the way to the destination. It is also a very cost-efficient solution with no extra charges. We offer a daily PTL service with high flexibility and destinations all over Europe. You can also choose to ship your goods super fast with our express service for full truck load and less than truck load. We provide a fast and flexible shipping service to improve your time-to-market. We can offer fast and reliable intermodal transport, which means we use multiple modes of transportation, but without handling the freight itself when changing mode, saving you both time and money. With our extensive transportation network, we can create the perfect combination of truck, train and boat, to provide the smartest and most efficient intermodal solution based on your needs. Sustainable transportation does not mean less efficient transportation. On the contrary, it is about managing the flow of goods in a smarter way to find sustainable solutions that drive efficiency. However, this requires knowledge, planning and the right equipment – all of which we possess. 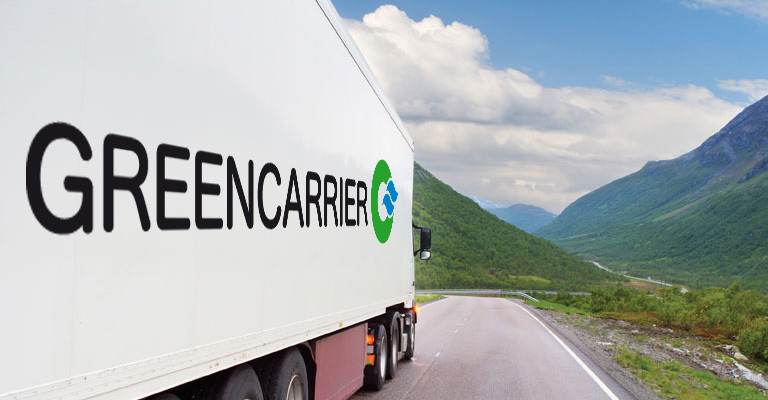 We are proud to be able to offer the most sophisticated and energy-efficient trucking solution on the road today. 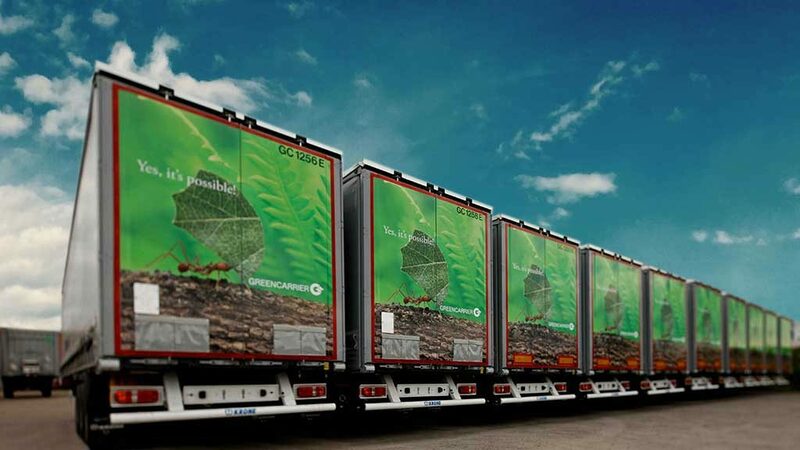 Our fleet of eco-friendly trucks have high technological advancements and run on engines based on EU standards for decreased emissions. 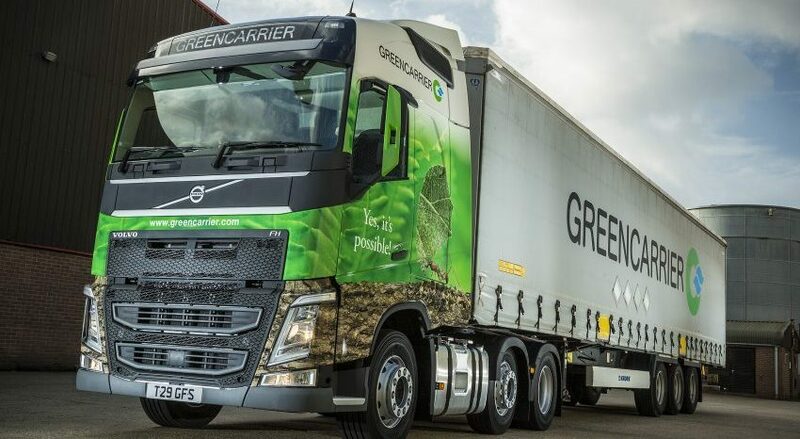 All trucks are fitted with air deflector kits for the purpose of reducing drag, which in turn improves fuel efficiency reducing carbon dioxide emissions. Our fleet is on a telematics system, which enables us to monitor and control driver behaviour. The telematics system dramatically improves key areas such as reduced time idle (<5%), driving within economy (>70%), cruise control usage (>50%) and engine load time (<5%). We strive to offer the most sophisticated and energy-efficient trucks on the road today. All our drivers are CPC certified, which is a European recognised accreditation that includes a module for safe and efficient driving behaviour. This improves and reduces our environmental impact. Our transport department works hard to consolidate cargo deliveries and collections within the same area. This enables us to eliminate as many empty miles driven as possible. Our eco trucking solution is currently available only in the UK. It is dependent on each country’s local regulations. As soon as possibilities arise we will be able to offer our eco trucking solution also in other countries. 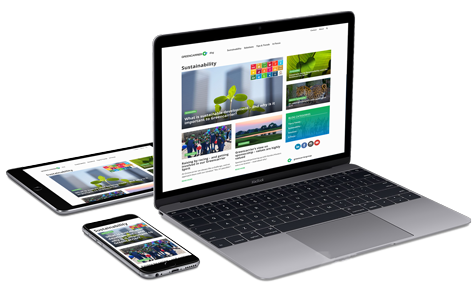 Read more about our Green Solutions concept, how we act as an Environmental Competence Partner and evaluate our carriers’ environmental performance. The number one advantage of road freight is that your goods can be moved from door to door; from manufacturer to distributor or from city to town. Only with road freight is it possible to reach into the most rural areas, and deliver the goods directly to the door. Transportation by truck can also act as feeder to other modes of transport such as rail freight, ocean freight and air freight. Road freight provides great flexibility. Routes as well as timings can easily be adjusted to your individual requirements, providing a very convenient solution. Even if road freight is subjected to weather conditions and traffic delays, it is the only mode of transport with the ability to easily work around any delays and find alternative routes. Road freight is very cost-efficient and quick when transporting goods over short distances. As the goods can be loaded directly into the vehicles, and transported directly to the destination, the risk for delays in the transport chain is minimised, and the need for reloading the goods eliminated. Want to know more about our solution for Road?